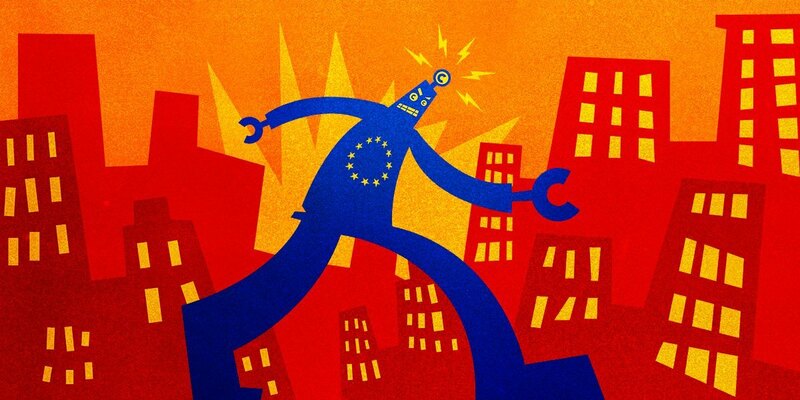 After months of insisting that #Article13 doesn't require filters, top EU Commissioner says "Article 13 requires filters"
The Copyright Alert System -- a "voluntary" system of disconnection threats sent to alleged file-sharers, created by entertainment companies and the large US ISPs -- has just celebrated its first birthday, having spent $2 million in order to send out 625,000 threats to people it believed to be infringers. How's that working out for them? No one knows. The Center for Copyright Information -- which made a lot of noise about its war on piracy when it was ramping up -- has been totally silent for the past twelve months, not issuing a single press release (nor have its participating entities said anything about it in that time). I guess there are two possibilities: one is that this was an amazing success, but they're too modest to boast. The other one is that, like every other variant on this, as practiced in New Zealand, the UK, and France, it is an expensive boondoggle that wasted millions, alienated hundreds of thousands, and did nothing to break the copyright logjam that has been sowing chaos on the Internet since the 1990s. In Graduated Response Policy and the Behavior of Digital Pirates: Evidence from the French Three-Strike (Hadopi) Law a team of business-school researchers from the University of Delaware and Université de Rennes I examine the impact of the French "three-strikes" rule on the behavior of downloaders. Under the three-strikes law, called "Hadopi," people accused of downloading would be sent a series of threatening letters, and culminating with disconnection from the Internet for a period of a year for everyone in the household. Hadopi is the entertainment industry's model for global legislation, and versions of it have been passed in the UK and New Zealand, and it has also been proposed for inclusion in the global Trans-Pacific Partnership treaty. Evaluating Graduated Response, a new paper from Rebecca Giblin from the law school at Australia's Monash University, looks at the impact of "three strikes" and "graduated response" punishments for file-sharing. Countries including France, New Zealand, Taiwan, South Korea, the U.K., Ireland and the U.S. have adopted systems whereby people accused of file-sharing have their Internet access curtailed. This takes many forms, from losing access to YouTube and Facebook until subscribers complete a "copyright training course" designed by the entertainment industry to out-and-out disconnection from the Internet. A good summary in IT News by Juha Saarinen discusses Giblin's findings from an in-depth survey of the file-sharing landscape before and after the introduction of three strikes rules: "There is no evidence demonstrating a causal connection between graduated response and reduced infringement. If 'effectiveness' means reducing infringement, then it is not effective." 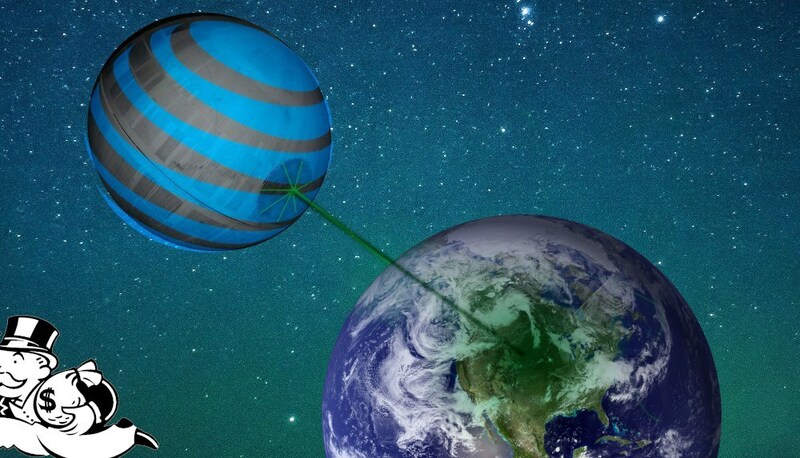 As America's phone and cable companies roll out their "six strikes" plans (which they voluntarily adopted in cooperation with the big film companies), it's becoming clear that operating a public Internet hotspot is going to be nearly impossible. Anyone operating a hotspot will quickly find that it can no longer access popular sites like YouTube and Facebook, because random users have attracted unsubstantiated copyright complaints from the entertainment industry. Verizon (and possibly others) have made it clear that this will apply to businesses as well as individuals, meaning that firms will have to spy on all the traffic of all their users, all the time, and heavily censor their use of the Internet in order to prevent them from attracting these complaints. It's not much of a stretch to see why the carriers would like this: every time you use a hotspot instead of using your phone or device's metered data-plan, they lose revenue. Also, as the strikes get higher, there are two things to be aware of: ISPs are then more likely to hand over info to the copyright holders, meaning that it could still lead to copyright holders directly suing. That is, the "mitigation" factors are not, in any way, the sum total of the possible consequences for those accused. On top of that, we still fully expect that at least some copyright holders are planning to insist that ISPs who are aware of subscribers with multiple "strikes" are required under law to terminate their accounts. 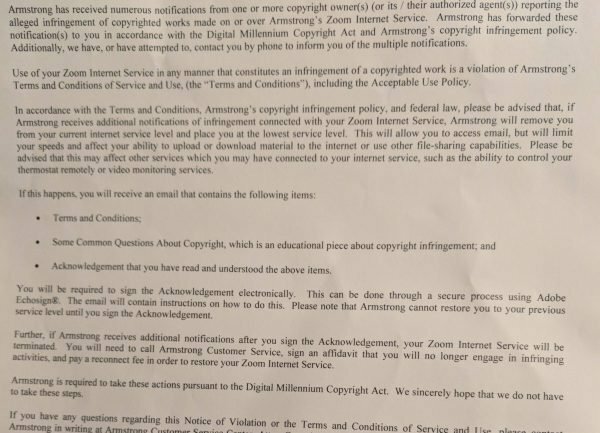 At least the RIAA has indicated that this is its interpretation of the DMCA's clause that requires service providers to have a "termination policy" for "repeat infringers." So it's quite likely that even if the ISPs have no official plan to kick people off the internet entirely under the plan, some copyright holders will still push for exactly that kind of end result. France is on the verge of killing its ill-starred HADOPI system, whereby people who are accused of multiple acts of copyright infringement are disconnected from the Internet, along with everyone in their homes. After two years, HADOPI has spent a fortune and has nothing to show for it. HADOPI was enacted thanks to enormous pressure from American entertainment companies and the US Trade Representative, and was the first of the "three strikes" rules to make it into law (New Zealand and the UK also both capitulated to Pax America shortly after). But the new president Hollande is determined to continue to have France play the role of crash-test dummy for America's failed copyright policy. As a condition of dismantling HADOPI, his government has proposed enacting the worst provisions of SOPA, the US copyright proposal that America roundly rejected last year. Under SOPA.fr, the French government will make intermediaries (payment processors, search engines, web hosts) liable for infringement, with broad surveillance and censorship powers. Citing extraordinary costs and scant results, a high-level French official has announced intentions to defund Hadopi1, the government agency charged with shutting off Internet access of individuals accused of repeat copyright infringement. Under the French three strikes law, Internet subscribers whose connection is repeatedly used to share copyrighted material may be disconnected from the Internet and may even have to continue paying for the service (the so-called "double pain"). The three strikes law in France runs contrary to principles of due process, innovation, and free expression—yet has unfortunately served as a template for similar legislation in countries like New Zealand, the UK, and South Korea under pressure from the entertainment industry. Defunding Hadopi may mean that France won't be focusing on enforcing its three strikes law anymore, but that's not enough. France needs to repeal the three strikes law altogether. When copyright holders (working through professional organizations) file complaints about alleged infringement, Hadopi is authorized to contact Internet access providers and issue warnings to subscribers. After the third warning of copyright infringement is issued to a subscriber, Hadopi can recommend to a public prosecutor that the individual have her Internet connection terminated. IFPI, the international trade group for the record industry, has trumpeted a study that allegedly shows that France saw a surge in iTunes sales following the institution of a mass-scale regime of "disconnection warnings" -- threats to remove you and your family from the Internet if you don't stop downloading. These warnings are the first step of the controversial HADOPI system, which is the first of a series of global "three strikes" laws pushed for by IFPI. TorrentFreak had a look at the study, which was written by researches at Wellesley College and Carnegie Mellon, and they found that none of the benefits claimed by the record industry were in its conclusions: "What the researchers found is that in France, compared to five other European countries, more music was sold through iTunes. Looking at the graph below (from the report), it’s clear that the “uplift” in France before Hadopi was introduced (March 2009) is actually much sharper than the two years after." Indeed, when the three-strikes warnings were actually sent out, there was no effect on iTunes sales compared to the control countries. This is unusual, because you would expect that the hundreds of thousands of warnings that went out would have had more of an impact than the ‘news’ that this could happen in the future. Last year, the UK government held consultation into its proposed Digital Economy Act, an extremist copyright proposal created by the unelected Business Secretary Peter Mandelson. The process that followed was as dirty as any I'd ever seen (for example, the then-head of the BPI wrote an amendment proposing a national censorship regime that a LibDem Lord then introduced on his behalf. But it turns out that there was much more sleaze below the surface. Documents released in response Freedom of Information requests show that Mandelson had already made up his mind from the start about the Act's most controversial section: the rules that said that users would have their Internet connections terminated if enough unsubstantiated infringement claims were made against their households. The "compromise" that the Act made was to suspend this measure initially, and bring it into force if the other measures in the Act failed to substantially reduce infringement. Critics called it the sham it was, saying that a 70 percent reduction in file-sharing was a delusional target, and the FOI documents show that the Act's supporters agreed -- they only intended the compromise as a means of smuggling in France-style disconnections. French copyright enforcers: "Pirates are big spenders on legit content"
HADOPI, the French agency charged with disconnecting French Internet users who use the same Internet connections as accused copyright infringers, conducted a study on media purchasing habits by copyright infringers. They concluded that the biggest unauthorized downloaders are also the biggest customers for legitimate media. Just like every other study that's looked at the question, of course, but this time the study was funded and released by one of the most extreme copyright enforcement bodies on the planet. Joe Karaganis, from SSRC, points us to the news that there's been yet another such study... and this one is from HADOPI, itself. Yes, the French agency put together to kick people off the internet for file sharing did a study on the nature of unauthorized file sharing, too. Not surprisingly (and consistent with every other study we've seen on this topic), it found that those who spend a lot of money on content... were much, much, much more likely to also get content through unauthorized means. HADOPI released the results in a somewhat convoluted way (perhaps trying to downplay this result), but Karaganis reformatted the results to make this clear.